Recently, the Florida Fourth District Court of Appeal ruled against a law firm in a dispute over a mandatory arbitration clause. This underlying issue in this case was a legal malpractice claim raised by a former client of the law firm. In Lindsay Owens v. Katherine L. Corrigan and KLC Law, P.A., Florida’s Fourth District court ruled that an arbitration clause that was included within a legal retainer agreement was invalid on the grounds that it violated the state’s rules regulating the Florida Bar. In this case, the plaintiff hired a law firm to represent her in a family law dispute. Eventually, she filed a legal malpractice claims against her attorney and the law firm, alleging that she received negligent representation, which resulted in her losing child custody. The court in this case makes no assessment as to whether or not the underlying legal malpractice claim has any merit. The issue at stake before the appeals court was whether the underlying malpractice lawsuit could proceed at all, or whether the plaintiff was required to going through arbitration. According to the documents included in court records, the law firm’s retainer agreement included a clause that requires that any dispute over “fees, charges, or performance of legal services” must be resolved through binding arbitration in Broward County, FL. When the client filed the legal malpractice lawsuit, the law firm moved to have it dismissed on the grounds that the mandatory arbitration clause controlled any dispute. In response to that motion, the plaintiff pointed to Florida Bar Rule 4-1.5(i). This rule states that lawyers in Florida cannot include mandatory arbitration clauses for fee disputes in their agreement unless they explicitly advise their client to seek independent legal advice to review the agreement. While the plaintiff in this case initially had her claim dismissed, the Florida Fourth District Court of Appeal reversed that decision. In reviewing the Florida Bar rules, the court determined that proper warning language is required when legal professionals require their clients to sign an agreement that contains an arbitration clause. As this agreement did not advise the client to seek independent advice, the entire mandatory arbitration clause was deemed to unenforceable. This decision is notable because of its broad scope. While Florida courts typically lean towards upholding arbitration clauses, the Fourth District Court makes it clear that these clauses can be thrown out if they are not carefully drafted. Attorneys who are using mandatory arbitration clauses must be sure that they are strictly adhering to the Florida Bar rules in drafting the agreement. At Pike & Lustig, LLP, we have considerable experience handling the full range of arbitration cases. 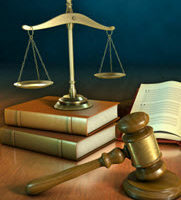 Our law firm also represents attorneys facing malpractice claims. To find out more about what our legal team can do for you, please contact us today for a fully confidential consultation. With offices in West Palm Beach and Miami, we serve cities and towns throughout southeastern Florida.